“Lead us not into temptation…..” when we see a devil’s food cake listed on the menu or displayed behind the glass counter of a bakery! The mysteriously dark, decadently moist, rich chocolate layer cake enrobed in a sensually silky chocolate frosting is certainly so alluring that we chocoholics sometimes give in to gluttony and devour this dessert. It is ironic how heavenly and even more divine this cake tastes with a hint of Kona coffee! 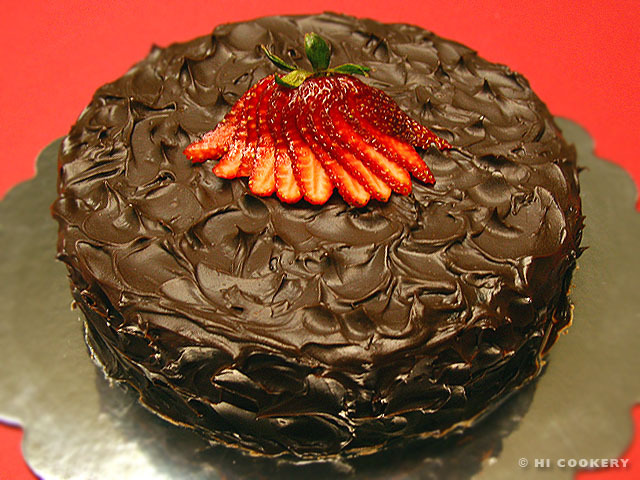 Indulge in devil’s food cake for dessert, at Halloween parties and on National Devil’s Food Cake Day. 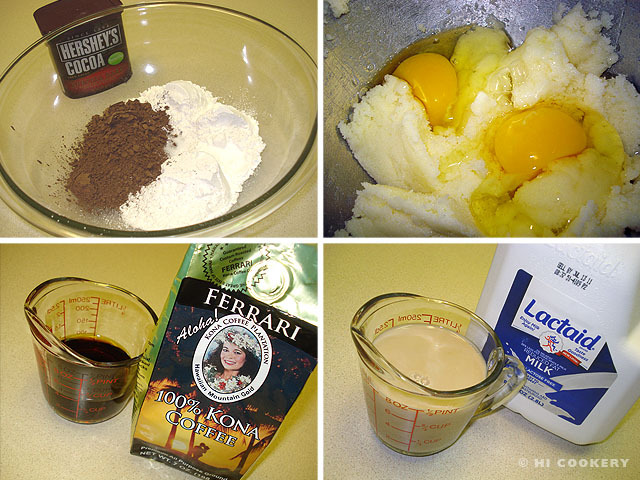 In a large mixing bowl, sift the cocoa powder, cake flour, baking soda, baking powder and salt. Set aside. In another bowl or mixer, cream the butter with the sugar until smooth. Beat in the eggs. In a cup or bowl, stir the coffee with the milk. Set aside. Gradually add half the flour mixture into the blended butter, alternating with the coffee-milk, and mix well until the batter is smooth. 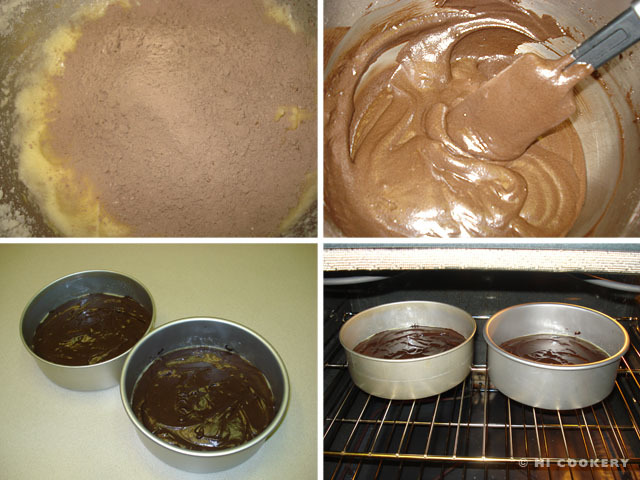 Divide the batter between two greased 8- or 9-inch round baking pans. Bake in a preheated oven at 350 degrees F for 25 minutes, testing for doneness with a toothpick. Remove from the oven and cool completely before frosting. 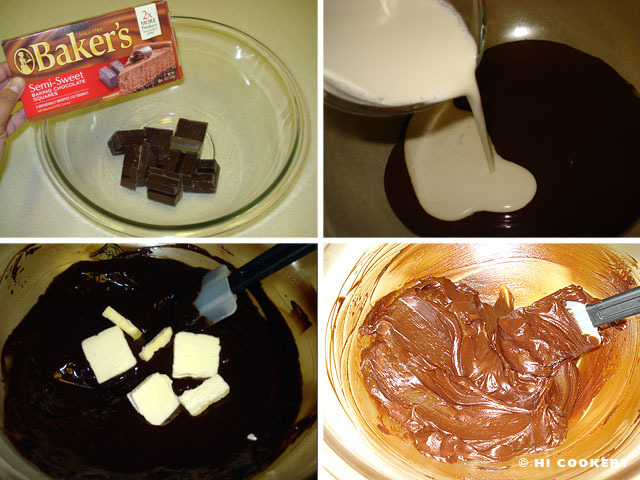 In a large bowl, melt the chocolate. Stir in the whipping cream. Add the butter pieces and mix until melted and smooth. Cool for several hours at room temperature until it reaches a spreadable consistency. Level the tops of the cake by slicing them. Brush off the crumbs. Place one layer on a cake board, plate or pedestal. Spread frosting on top, allowing some to go over the sides. 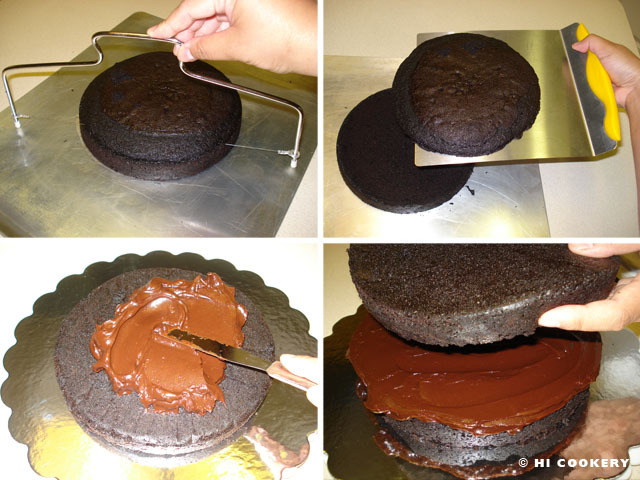 Carefully place the other layer on top of the frosted layer. Frost the top and sides with random swirls. To make the optional strawberry fan, wash a large strawberry and dry it. Use a paring knife to slice 1/8 – inch slits, starting slightly below the leaf top all the way to the bottom of the strawberry. Carefully fan out the slices. Wipe off any juice with a napkin. 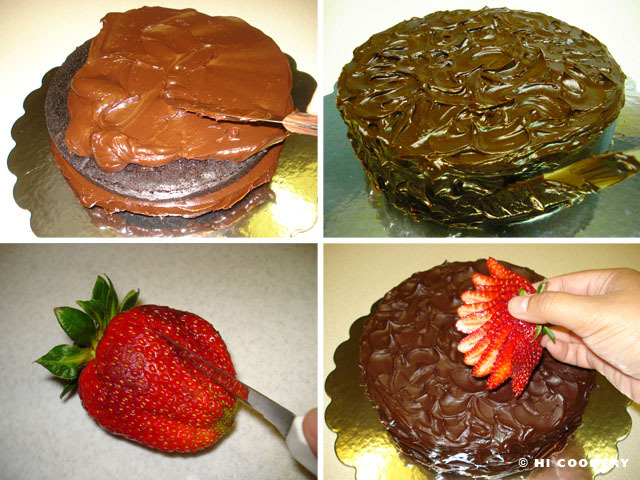 Place in the center of the devil’s food cake. Thanks to Islander’s parents for the Kona coffee from Hawaii. Search our blog for other chocolate cake recipes.